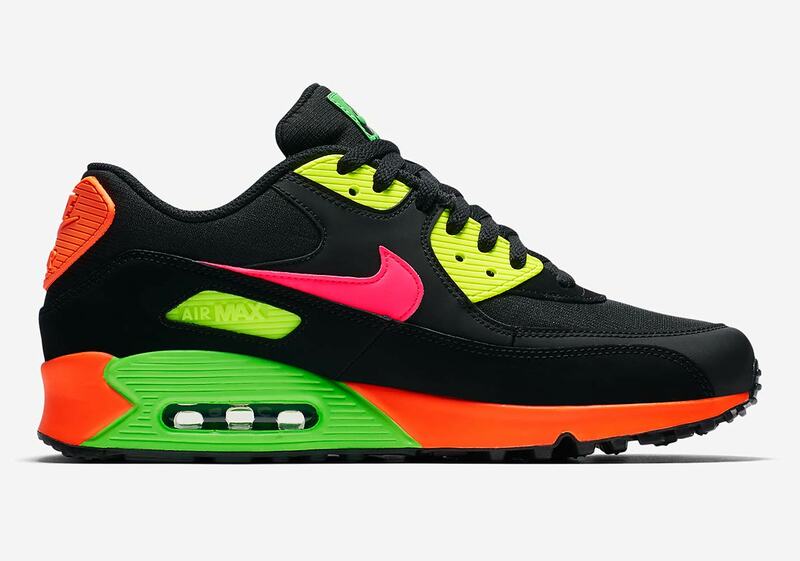 One of the most challenging aspects of any Nike designer’s job has got to be taking old silhouettes that have been around for decades and keeping them fresh with the implementation of new and exciting color schemes. 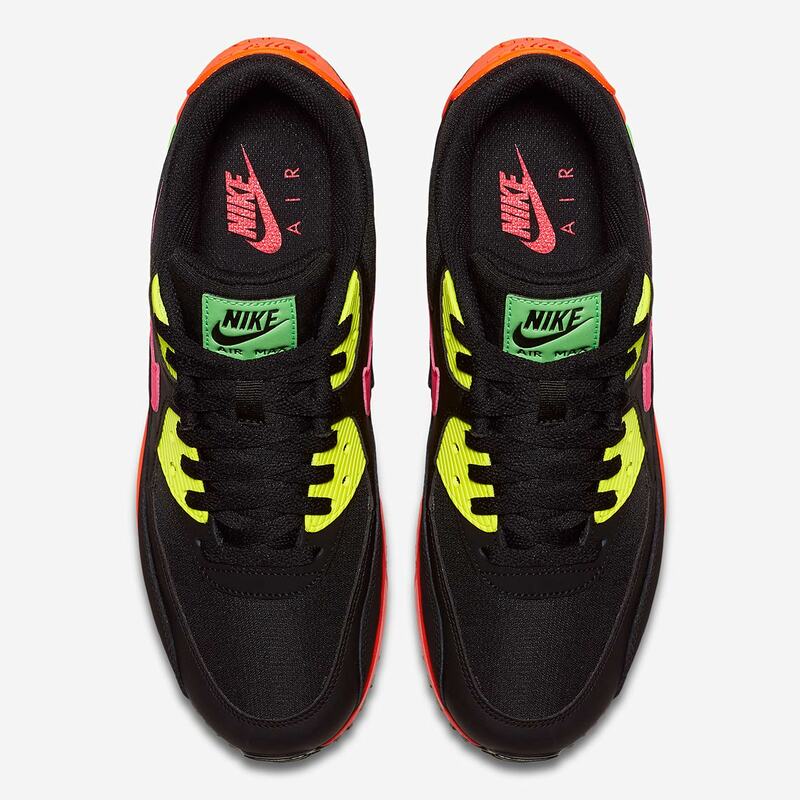 Practiced perfectly with the Swoosh’s Sportswear subsidiary, models the likes of the Air Max 90, the Air Force 1, and the Air Max 97 have managed to stay new and exciting in a market where different iterations seem to hit shelves multiple times per month. 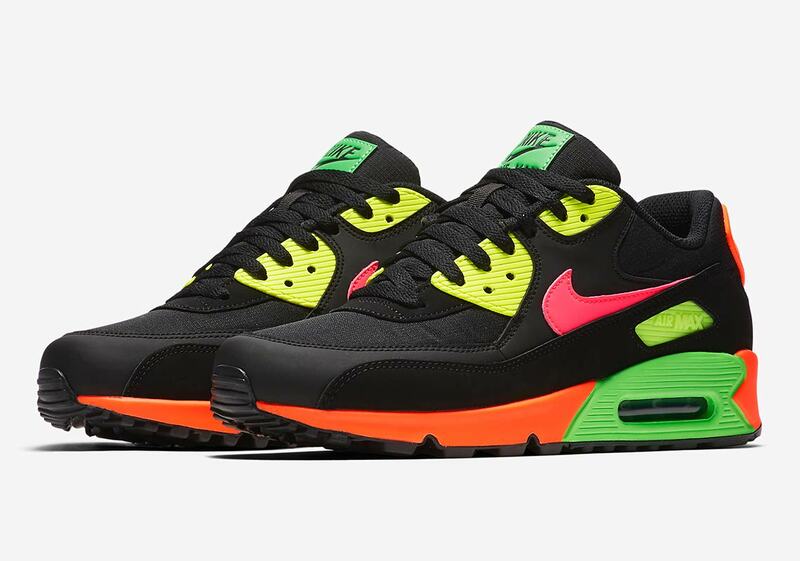 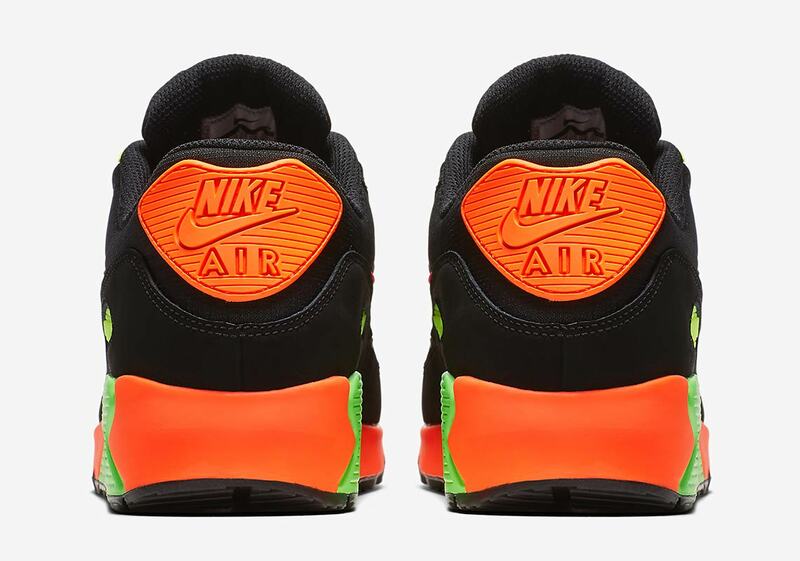 A perfect example of keeping an old staple refreshing is this neon-rich Air Max 90 creations that sees an array of highlighter-friendly hues adorn an otherwise blacked out base. 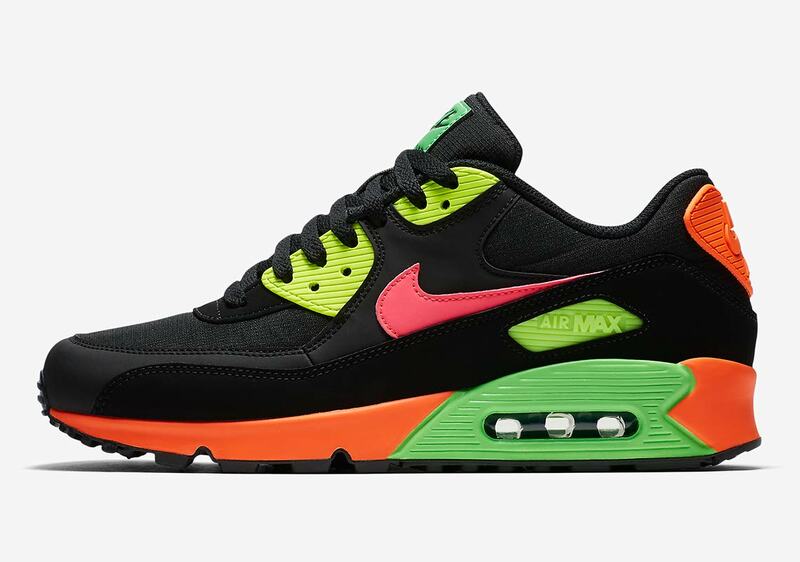 Cone orange dresses up its midsole and heel, an electric yellow takes shape on its lancelets and geometric Air Max branding, striking pink arrives on its concealed midfoot Swoosh, and finally a head-turning green tint makes its presence known on both tongues as well as its Air Max unit. 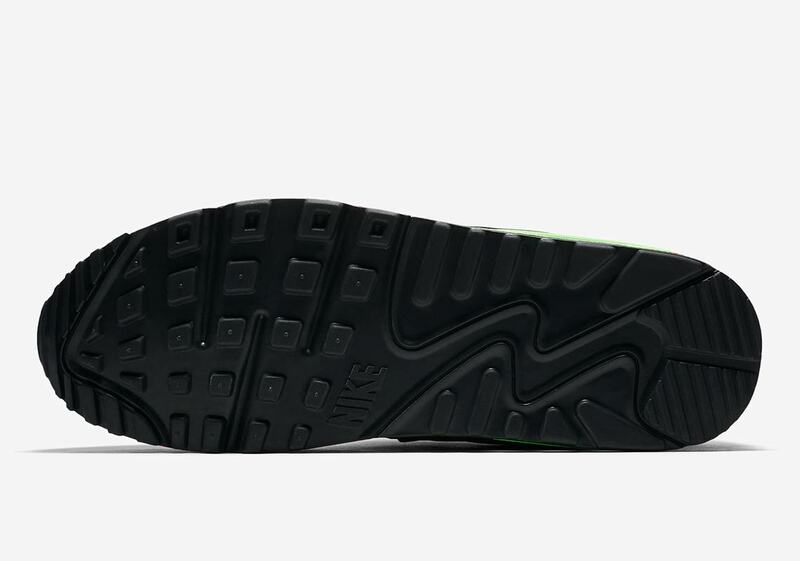 No word regarding this model’s official release has been reported yet, but grab a first look here and stay tuned for updates.